Expertly crafted by Will’s Marquees, in a time honored tradition, our quintessentially British marquees stand to impress. Awe inspiring backdrops created by high reaching timber structures give way to grand interiors with limitless possibilities. Did we mention that our tents are lovingly designed and handcrafted in Britain? Yorkshire to be exact and we’ve been visiting Wills Marquees studio, chatting with the design team and watching them in action! Check out this exciting circus set up by our friends Original Marquees! Don’t you think their Wills Marquees tents look absolutely amazing?! Here at The Canvas Tent Co. we understand the importance of providing a space where memories last a lifetime. Our satisfaction comes from recreating your vision, that’s why we take your lead from engagement to reception. 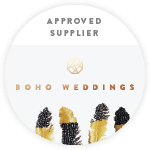 We will take the stress out of organising your outdoor wedding and our dedicated team of attentive personnel become the artisan craftsmen in your homespun styling journey. We take pride in our working environment and ensure each action and consequence is geared towards preserving our planet. After all without our wonderful countryside, there would be nowhere to pitch our beautiful tents.